Offers include Unlimited BT Broadband with Unlimited UK weekend calls for £5 a month on a 12 month contract, a saving of 62 per cent on its standard price. BT is also offering Unlimited BT Infinity* and its TV Starter pack for £10 a month for 12 months – a saving of 50 per cent on the standard price for BT Infinity. As part of this package, customers will receive unlimited weekend calls as well as BT Sport, enabling them to watch all the live exclusive football from the UEFA Champions League and Europa League. The pack also includes access to the premium US drama channel AMC. BT TV offers include the premium BT Entertainment Plus pack for £7.50 a month for 12 months, a saving of 25% on the standard monthly price. Big mobile savings are also available with BT Mobile’s 2GB 4G plan available for only £8 a month if you have BT Broadband at home, or £13 a month if you don’t. This plan comes with 500 minutes and unlimited texts. Elsewhere, offers are available at the BT Shop including an 11ac Dual-Band Wi-Fi Extender 1200 for £23.99 – a saving of 52 per cent. A Video Baby Monitor 7000 is available for £79.99, a £70 slashing from the RRP whilst a BT Home SmartPhone SII is on offer for £49.99 - £120 cheaper than the RRP. BT’s amazing Black Friday deals are running for 7 days only from Tuesday, 24 November and customers wishing to take advantage of these great offers will need to sign up by Monday, 30 November, 2015. Unlimited BT Broadband & Unlimited UK weekend calls: £5 a month for 12 months - a 62 per cent saving. Unlimited BT Infinity* & Unlimited UK weekend calls:£10 a month for 12 months – a 50 per cent saving. Unlimited BT Infinity*, Unlimited UK weekend calls and BT TV Starter: £10 a month for 12 months – a 50 per cent saving on BT Infinity. £50 prepaid card with BT Broadband or £100 prepaid card with BT Infinity when you order online at bt.com/blackfriday. Available online to new to BT Broadband customers only (excludes existing customers upgrading to BT Infinity). 11ac Dual-Band Wi-Fi Extender 1200 for 23.99 – a 52 per cent saving. Mini Home Hotspot 500 kit for £34.99 from £59.99. £79.99 Video Baby Monitor 7000 after £70 has been slashed from the price. Deal available from Friday 27th November until 30th November. BT Home SmartPhone SII for £49.99 - £120 cheaper than the RRP. BT Smart Home Cam 100 for £59.99 from £99.99. Standalone BT YouView Box for £69.99 from £99.99. Broadband Extender 500 kit for £23.99 from £29.99. 5-Port Gigabit Ethernet Switch for £9.99 from £24.99 – a 60 per cent saving. 8-Port Gigabit Ethernet Switch – a 53 per cent saving and now available for £18.99 from £39.99. * £39 activation for BT Infinity/£49 activation for BTTV Starter & BT Infinity. £6.95 delivery for Hub. BT TV Starter pack: £0 a month for 12 months then £4 a month. £35 charge for an engineer install or Broadband extenders, if necessary. This includes a Youview box. If you stop your service in the first year we’ll charge you up to £99. Availability of channels and quality of content depends on local transmitter and suitable rooftop aerial (www.freeview.co.uk/availability). HDMI connection required. Terms apply. We’ll charge you for on demand content and HD/ blockbuster/box office films not included in your bolt-on(s). AMC: To watch the AMC channel on BT TV you’ll need to be enabled for internet channels and have sufficient line speed. AMC is a separate bolt-on bonus channel and may be removed at any time. BT Sport: for UK residential BT Broadband customers. 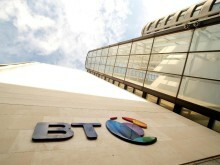 New 12 month BT Broadband & BT TV contracts required. BT Sport on Sky TV also requires Sky box, active viewing card & 12 month BT Sport contract. Ongoing BT Broadband/TV contract renewal needed to get discounted BT Sport. Excludes Multiscreen. e-billing required. Any prices may change during the contract period. 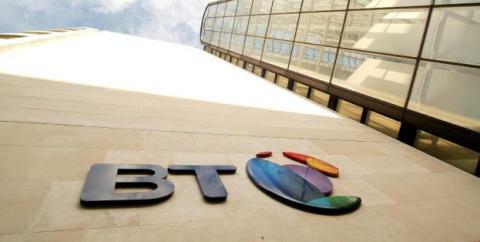 Separate contracts apply to BT Broadband, BT TV and BT Sport. Unlimited BT Broadband & unlimited UK weekend calls: £18 a month from month 13. Current non-offer price: £13 a month. Unlimited BT Broadband includes unlimited UK weekend calls. Unlimited BT Infinity & unlimited UK weekend calls: £25 a month from month 13. Current non-offer price: £20 a month. Unlimited BT Infinity 1 includes unlimited UK weekend calls. Minimum line speed and computer specification. BT Infinity: 75% coverage across the UK. Check bt.com/infinity for availability.